I’m going to show you how to start playing like the guys you see above. So just sit back, grab a beverage and enjoy this gospel training article. I’m the founder of The Gospel University. And I teach musicians all over the world the “psychology” and thought process pro gospel musicians use to create & play “crazy” contemporary gospel chords, runs & licks. 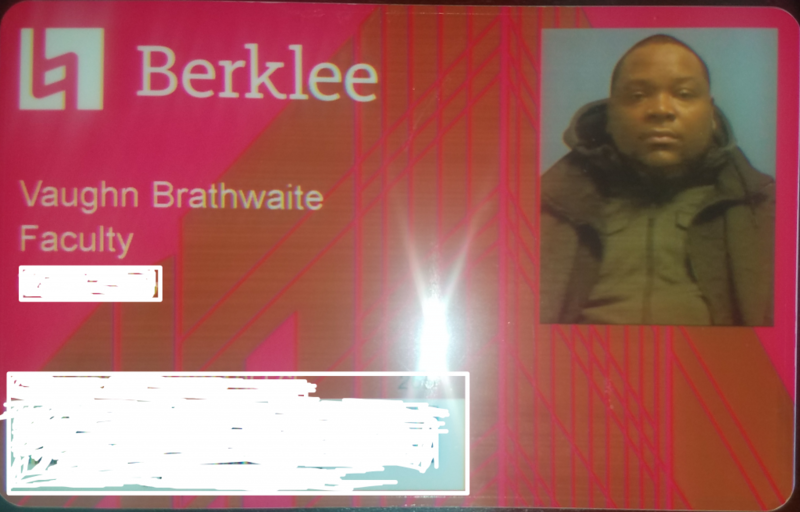 And I’m also a professor at the Berklee College of Music in Boston, MA. If you’re ever in Boston be sure to visit one of my piano or organ classes. 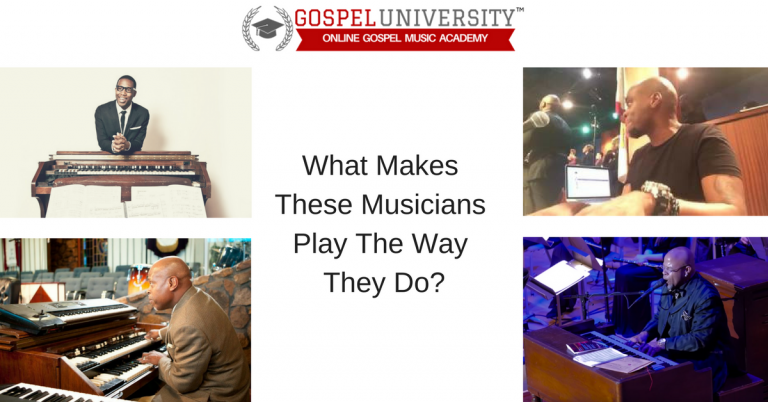 Truth is … Playing like the pros is simply a matter of approaching gospel music the same way they would. If you learn to THINK like the pros … then you won’t have a problem playing like they do. Like most aspiring gospel musicians I went through the struggle of being publicly ridiculed, made fun of, and dealing with a lot of discouragement because my playing wasn’t good enough. Even to the point of being “fired” from churches because a better musician came in town. That period of my life sucked! In the last 20+ years of figuring this gospel stuff out, I realize why most aspiring gospel musicians including myself, have failed at becoming better players in the past. * And in the case of the trainings out there, they compensate for those musicians inability to teach by slapping some “half-baked” music theory explanation on top of it. This approach hasn’t worked for the last 3 decades because of there’s a flaw in the approach. They’re “giving” you fish, instead of “teaching” you HOW to fish. In other words, you’re being trained to be a copy cat, instead of learning how to create ideas like the pros do. This approach failed me, and hundreds of my Gospel University students. What gave me the breakthrough I needed was learning the thought process & mindset of pro gospel musicians. And then using it to, “learn how to fish for myself”, instead of having to be given fish all the time. I think for most musicians wanting to “level up” their playing, their perceptions of how attainable playing like a “beast” — is way out of whack. My aim is to “reframe” your perception somewhat … and then show you how easy it is to play at a pro level by following proven systems that’ll allow you to play the way you want to. The majority of musicians are killing themselves trying to achieve these playing goals. Why? Because they think that shedding for hours at a time, or watching hundreds of YouTube videos is what they need to do to FINALLY become the players that they wanna be! If so, then why aren’t more musicians seeing the results they want? In the next few pages I’m going to lay out a system that I personally used to level up my playing and become the musician I wanted to be. 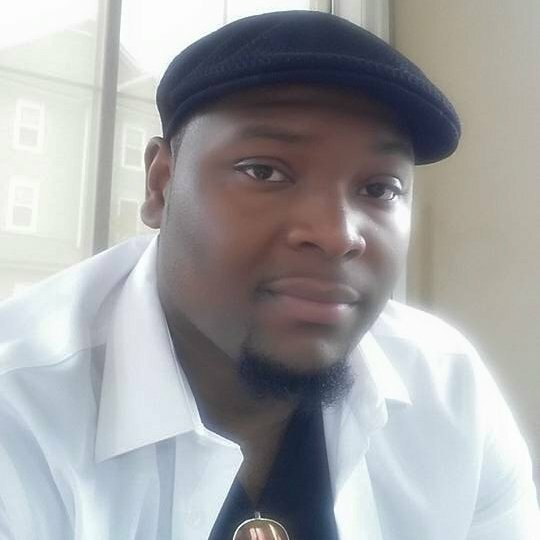 This simple system can allow you to achieve your gospel music dreams too!